Vermont senator and presidential hopeful Bernie Sanders was back in the Bay Area Sunday. Sanders held a rally in San Francisco as part of his first trip to California since entering the 2020 presidential race. Cheering supporters gathered at Great Meadow Park at Fort Mason to hear Sanders speak. Sanders is one of a number of Democrats running for the White House in 2020. 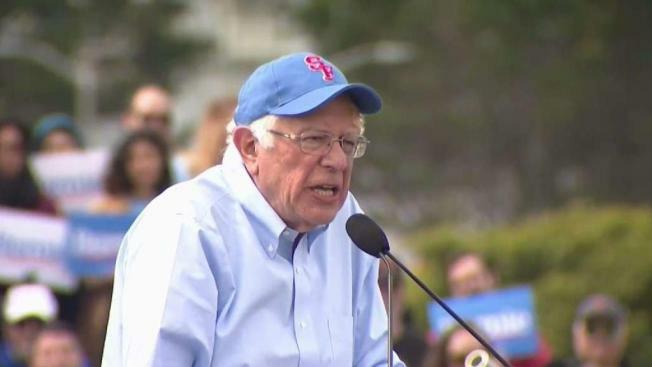 Sanders on Saturday was back in California three years after arriving there as a beaten man in the 2016 presidential race. Now he is trying to reawaken the West Coast donor base and devoted volunteers he built then in the shadow of Sen. Kamala Harris, the state’s junior senator who has won statewide races in California three times.